The baseball field is for league play as well as pick up games. Fields reserved for league play may be viewed under the 'Events Calendar' from the menu bar when the category 'Baseball' is selected. 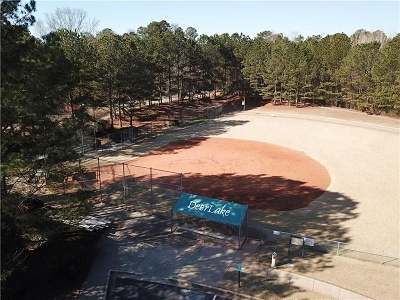 Please contact ballfield chair to reserve a practice time at least 48 hours prior to desired practice time. SATURDAY AND SUNDAY ARE RESERVED FOR WALK-ON PLAY AND CANNOT BE RESERVED. There is a two hour time limit for walk on play if someone else is waiting to use the field. There will be no league or team practice on Saturday or Sunday. Cost for the Baseball Field is $625 per time slot per season. For example, if a team wants two slots the cost is $1250 for the season.